Product code: 1729 Categories: Sold Items, Sold Jewellery. Here are a wonderful pair of gold cufflinks made in Birmingham in 1919 in such a simple and stylish design. 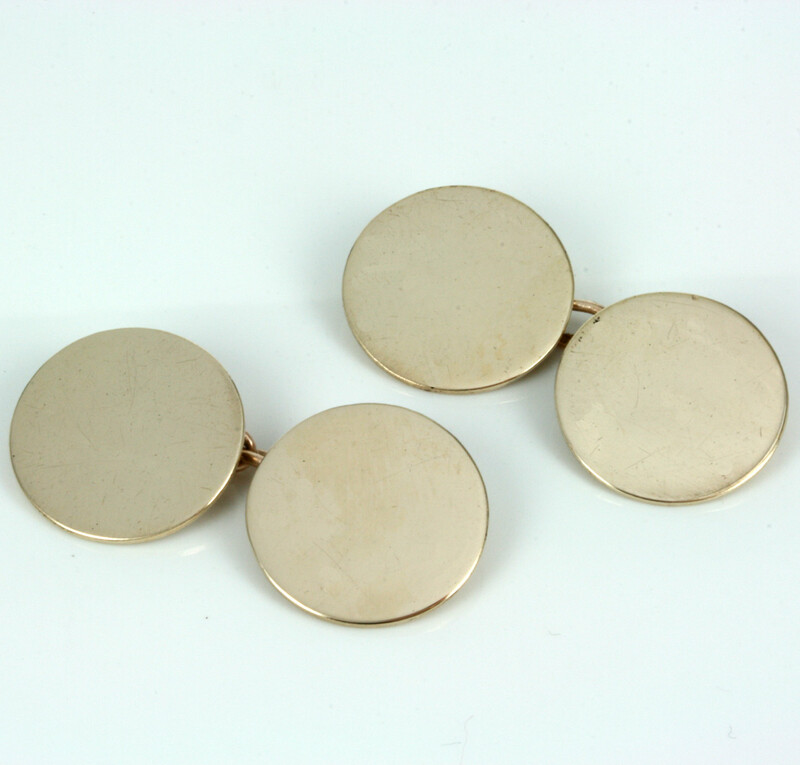 Made in 9ct gold, these cufflinks measure 1.7cm in diameter and look so smart on a shirt with the French cuffs. Easily able to be engraved, these gold cufflinks will last a lifetime.